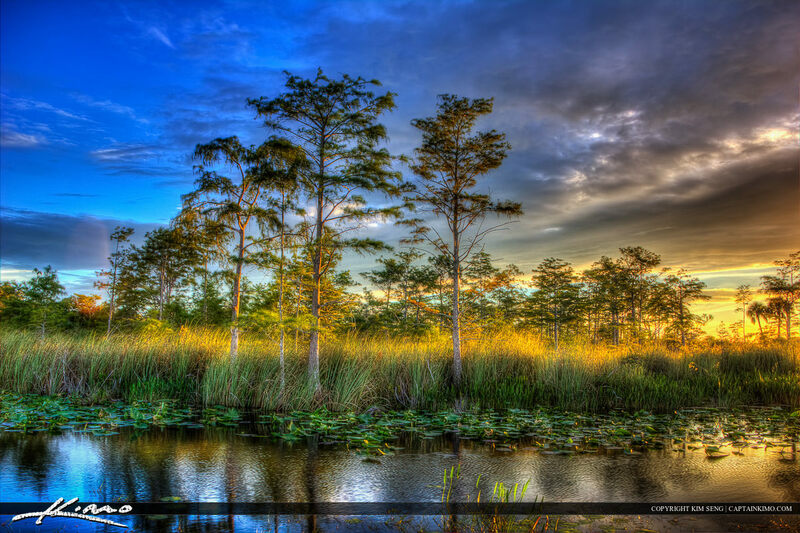 Sunset at the Loxahatchee Slough Wetlands in Palm Beach Gardens, Florida. This image of the cypress trees came out better than expected with the sunlit grass in the background. Three exposure HDR image processed in Photomatix Pro and Topaz Software.